After one final season next year, “Supernatural” is coming to an end. Considering the show was initially supposed to end after season 5, I guess ten more years is nothing to complain about. But, as a massive fan of “Supernatural,” the news completely caught me off guard. Like most shows that have had a massive run like it has, “Supernatural” has had it’s up and downs. Not all of it has been great, but like most dedicated fans, I always came back for more. There were times I would fall behind and not catch the last half of the season, but I still caught up because I needed to know how the Winchesters were doing. Like my own family, I had to keep up and make sure they were doing ok.
That’s the strange thing about a television show like “Supernatural.” Although they are people you never met, you know them. You invite them into your living room every week. After nearly 15 years on the air, the Winchester brothers have become more than just characters in a television show. They are part of my family. I understand that to some; it may seem a bit silly to be deeply affected by the end of a television show. While some people place their fandoms in different aspects of popular culture, mine happens to be two brothers from Kansas who drive around the country saving people and hunting things. As the show has evolved, it’s become more than that, with the fate of humanity often depending on their success. The boys have faced death numerous times, and have lost people they loved. They have made allies, and have made enemies. They have been to hell and back (literally), but they continue to fight the good fight. The ongoing saga of the Winchesters is why I keep coming back for more. But, there is another reason. The quote “family don’t end with blood” is a familiar one for the show and it’s fans. At its heart, it’s a show about family. It is about the bonds we create through life, the ones that define who we are as people. It’s also about fighting your own demons. It’s a constant reminder that no matter what, always keep fighting and never give up. That is a very powerful thing, and it’s the other reason I keep coming back. 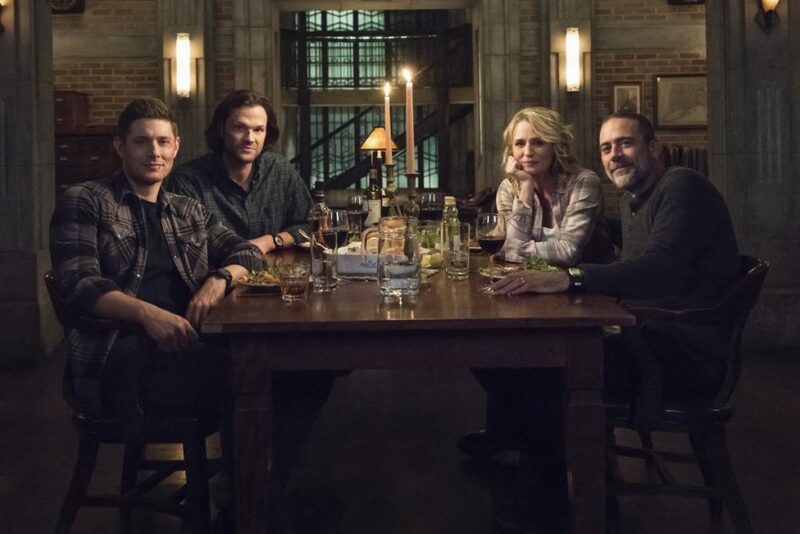 After season 15, there will be no more new Winchester stories. I’m extremely saddened to say goodbye to the boys and the family they have created. But I am incredibly grateful they came into my life. I am grateful to the talent both behind the scenes and in front of the camera. All I can say is thank you!